As you will know from news announcements, supplies of VW's Golf Mk IV and Bora are now reaching our shores with VAG's 130bhp 'pumpe duse' diesel engine under their bonnets. Happily this is mated to VW's compact six-speed gearbox offering around 35mph per 1,000 rpm in sixth. So, while VW claims a 0-60 of 9.8 seconds and a top speed of 127mph, drivers also benefit from a combined economy of 52.3mpg and a low CO2 output of 146g/km. So can this car really be the Jekyll and Hyde it promises to be? Does it prove that performance and economy need no longer be mutually exclusive? The answer is an emphatic 'YES'. Yet as soon as I started up I found a glaring fault. In trying to stay cool as well as look cool I had to adjust the a/c, and that's something drivers can't safely do on the move ubnless they're blessed with gorilla-length arms. As with all Mk IV Golfs, the controls are buried at the very bottom of the dashboard. The Mk II had them right at the top, in line with the steering wheel. The Mk IV has them right at the bottom, in line with your ankles, and instead there's a hole in the dash for some additional in-car entertainment gizmo where the a/c should be. But that minor defect was soon forgotten once I got onto the road. The best way to describe the car's performance is 'muscular'. Like those strong, silent types who always get the girl, it wafts you to completely ridiculous speeds with no effort and no revs at all. The whole point of this motor is that it whacks out no less than 228 lb ft (310Nm) torque at just 1,900rpm. If you keep it between 1,750 and 2,500rpm, that gives you a top gear speed range of roughly 60 to 90mph. Even if you use the gears, you don't need to use any revs. You're simply flung forwards by what feels like a giant catapult. I've driven PD 130s before in other bodies. Even a four-wheel-drive PD 150. And great that they were, none felt quite as good as this. But the Golf GT PD 130 had another little surprise under its mudguards. Someone has got at the suspension. 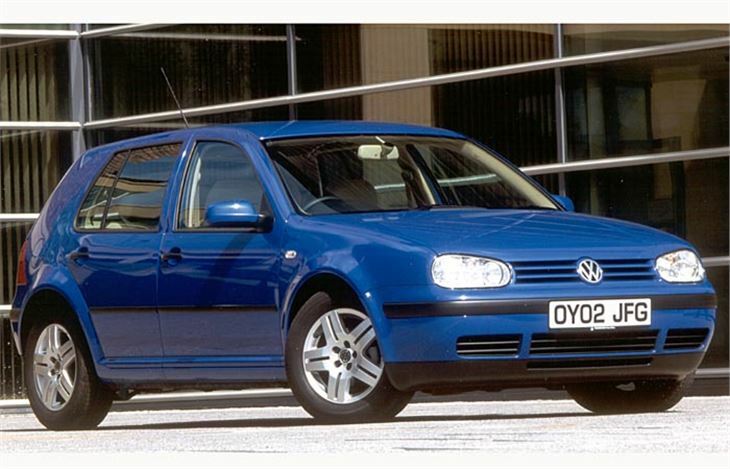 It was about time, because handling, roadholding and road 'feel' have never been Golf Mk IV virtues. But this one stuck like glue up to quite high limits, and fed back exactly what its wheels were up to. As good, if not even better than, the SEAT Leon 20VT. And a different animal completely from the Mk IV V5 I drove back in January. It's hard to think of a much better car for company drivers on 40% tax who, from April next year, will pay just £1,146 for the benefit of this impressive economy sportscar. The cute little Lupo has been growing up. 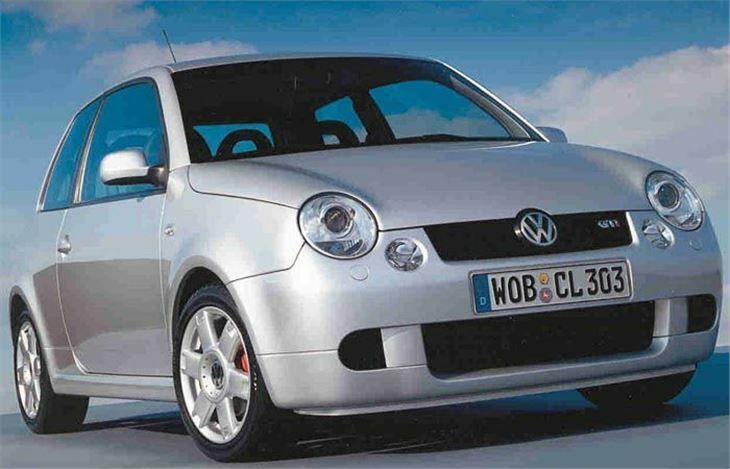 First it acquired a 125bhp 1.6 litre 16-valve engine. Now it has weight-saving aluminium body panels and a six-speed gearbox to put the power down onto the road. Of course, the gearing is very different from that of the Golf TDI PD 130, as even sixth only gives you around 20mph per 1,000 rpm. 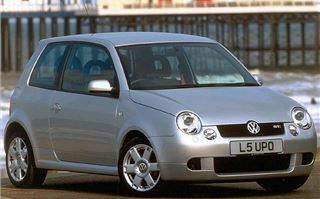 But the Lupo GTi doesn't pretend to be an economy car. This is an all-out pocket rocket that simply screams right up to 127mph at 6,350rpm. Don't be fooled by what seems a fairly poor zero-to-sixty of around eight seconds. You have to change gear twice to get there. The fact that you have 125bhp in a light 978kg body and six gears to play with means there's bags of oomph whenever you want it. The car handles a lot better than previous Lupos, too, with 15-inch wheels and wider, lower profile tyres. But the car's problem is a big one with a small name. 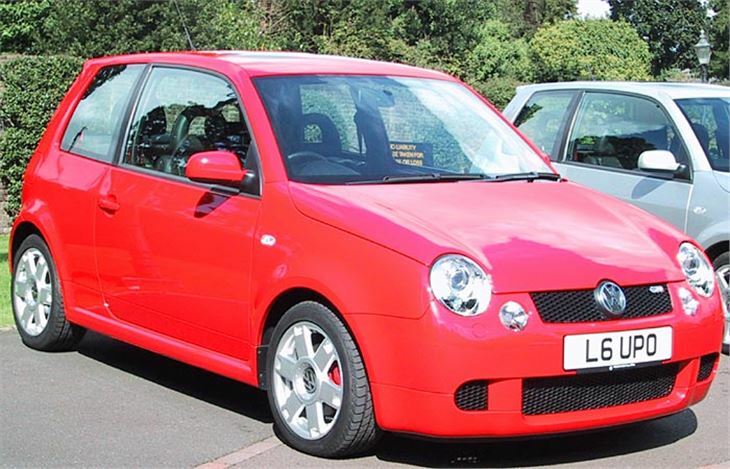 Why buy a souped up Lupo when you could have a MINI? 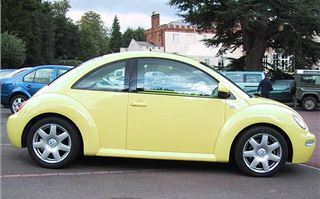 Just imagine if you were rich enough to spend £13,000 buying a car for your girlfriend or boyfriend. Buy them a MINI and you'll be in for a month of nights to remember. 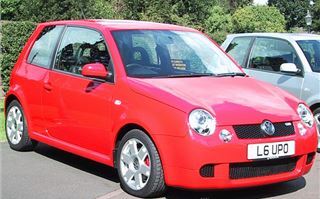 Buy them a Lupo and you could very soon find yourself part-exchanged. I'm afraid I've always been underwhelmed by the front-wheel-drive Beetle. It just never did anything for me. All I could see was a blobby body on top of a soggy Golf. It didn't go well. It didn't handle well. There was no room inside it. And it was impossible to park. 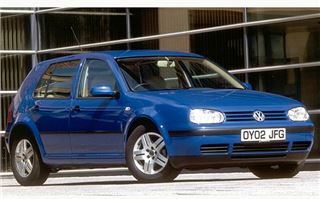 But VW has gone and changed all that. I don't know if they poached Dutch chassis engineer Jos van As from Audi, or, more likely, Juan and Pedro from SEAT in Barcelona. But, as with the Golf PD130, they've transformed the way the Beetle handles. Instead of dishing out dull disappointment, the chassis now serves up smiles of satisfaction. And 170bhp from the car's 20-valve V5 gives it bags of grunt as well. 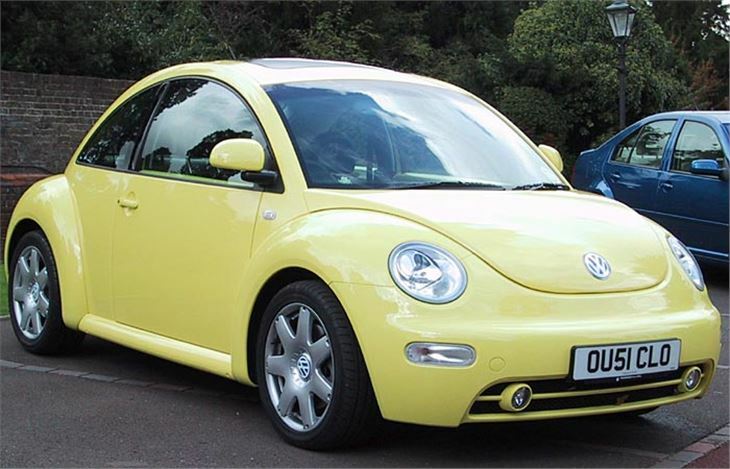 At first, as with any Beetle, you're put off by the back seat driving position and the huge door mirrors deflecting other car's headlights into your eyes. But as you get on with it, the whole car comes alive and somehow you find yourself placing it on neat lines through corners - even though you can't see the corners of the car. Its huge 17-inch alloy wheels and extremely grippy tyres help enormously, of course. As does a top speed of 131mph and a zero-to-sixty of 8.4 seconds. It has to make do with a five- rather than a six-speed gearbox. But you get a six-disc CD stacker. 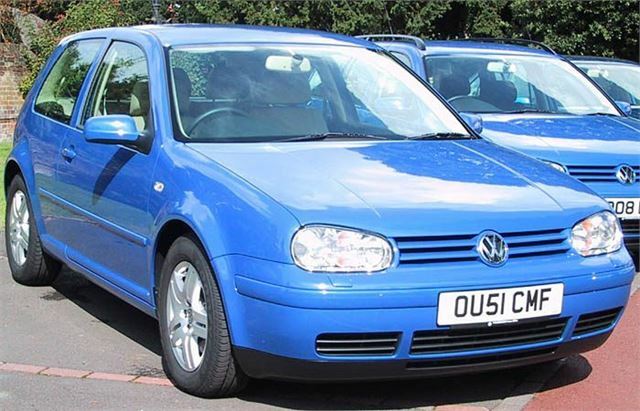 And the whole show is, by VW standards, a reasonable £16,995 - which is £235 less than the cheapest 3-door Golf V5, and only £940 more than the Golf GT TDI PD 130. The whole point is that the V5 engine completes the car, turning what could be thought of as a piece of silly sentimentality for the plodding old Beetle into a 130mph sportscar. I'll bet it's going to put the wind up more than a few MGF and MX5 owners.